Primary open angle glaucoma of the left eye. 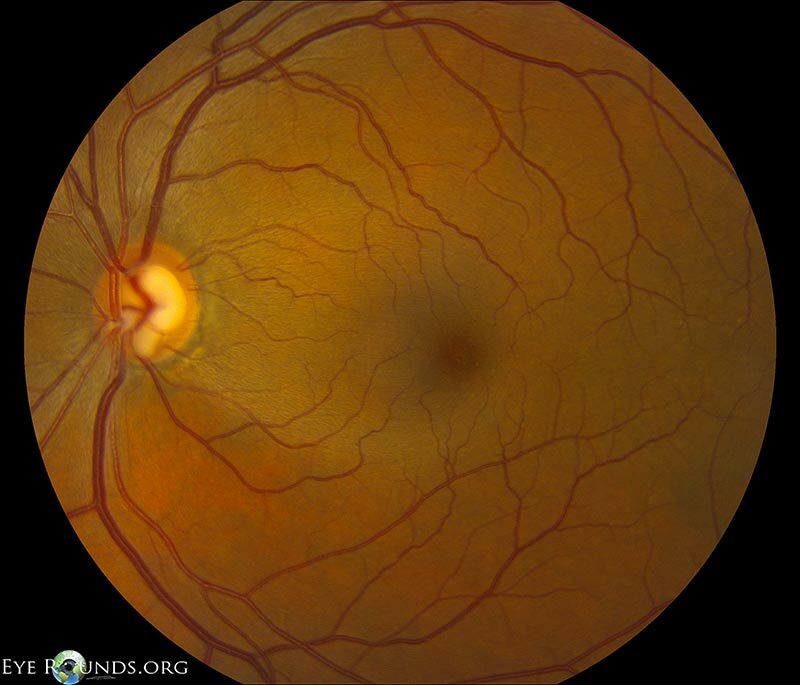 The optic nerve shows moderate cupping but there is a prominent inferior notch. The normal sheen of the nerve fiber layer is absent in a distribution radiating temporally from this notch due to cellular loss. 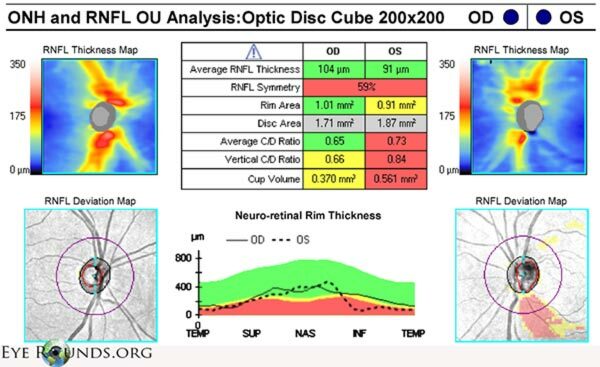 The notch and nerve fiber layer defect can be more easily visualized on optical coherence tomography. 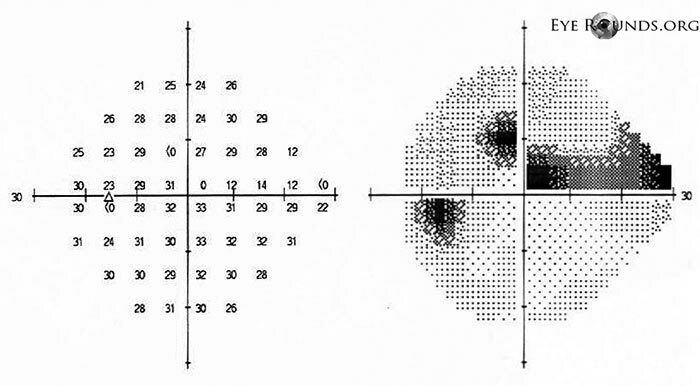 Humphrey visual field shows a corresponding superior arcuate scotoma.